Neurological Rehab at Holistic Physio Fitness? 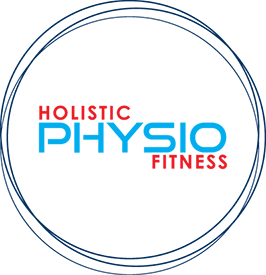 At Holistic Physio Fitness we are at the forefront of neurological rehabilitation. When it comes to treating neurological disorders, the latest research and techniques make all the difference. Please see below a list of neurological issues we treat. Click on the label to read more below. A stroke is described as an interruption of the blood supply to the brain caused by either a blocked (ischaemic stroke) or burst artery (haemorrhagic stroke). This interruption of blood flow to the brain can lead to brain cell death. Different arteries supply different areas of the brain. Depending on the area and severity of the damage, the rate of recovery and the effects of the stroke will vary. Commonly stroke survivors experience sensory deficits (such as touch, sight or smell), issues with language and cognition as well as motor deficits including weakness, often on one side of the body. Because every stroke is different, each stroke survivor will have differing impairments and needs. A qualified physiotherapist can assess and identify impairments and guide patients through a structured rehabilitation regimen. Parkinson’s disease is a neurodegenerative disorder, progressive in nature. It can cause a manifestation of symptoms ranging from tremors, rigidity, slowness of movements and reduced balance resulting in difficulties with walking and other activities of daily living. Non-motor symptoms may also occur including incontinence, nausea, pain, hallucinations, depression/anxiety and decline in cognition.Parkinson’s Disease is characterised by a gradual decline in the production of the neurotransmitter, dopamine in the brain. Dopamine is responsible for the transmission of nerve signals from one nerve cell to the next.Although Parkinson’s Disease is progressive disorder, exercise under the guidance of a physiotherapist has been shown to help manage and even slow the progress of some symptoms. We have state of the art gym equipment that will help you get on track. We encourage all our clients to train in their own time too. We can tailor an exercise program to suit you and the area you want to continue training in. Our aim is to teach you how to eventually take care of yourself and grow your knowledge..this is the sure fire way to success. Traumatic brain injury (TBI), occurs when an external force causes injury to the brain. TBI can be classified based on severity and mechanism (closed or penetrating head injury), or other features (e.g., occurring in a specific location or over a widespread area). TBI can result in physical, cognitive, social, emotional, and behavioral symptoms, and outcome can range from complete recovery to permanent disability. TBI requires an experience practitioner to develop an approach to improve symptoms and disability. Why get treatment with someone who lacks Neurological Rehab experience? At Holistic Physio Fitness we are at the forefront of neurological rehabilitation. We have a specialist Neurological Rehab Physio/Exercise Physiologist who has always had a very keen interest in the treatment of Neurological patients. When it comes to treating neurological disorders, the latest research and techniques make all the difference. *Rebates vary between funds. Please check your Physiotherapy and Exercise Physiology coverage.